Want to be part of the studio audience for your favorite TV show while in New York City? This list of shows that tape in Rockefeller Center will help you learn how to get audience tickets to see your favorite TV show tape live. In most cases, you can head to the NBC Studio Experience Store to see what tickets are available if you're interested in standby tickets. It's not easy to get audience tickets for Saturday Night Live. Every August they hold a lottery for audience tickets, but brave souls who don't mind waiting can line up for standby tickets to be in the audience for either the dress rehearsal or live-taping of SNL. When you enter the lottery, beware that you are only able to submit one request per household and you are not permitted to request a particular date—you must be available for any taping date during the season, which runs from October through May. "The Tonight Show Starring Jimmy Fallon"
If you plan about a month in advance, you can get audience tickets for "The Tonight Show Starring Jimmy Fallon" by requesting them online. Tickets are released one month in advance of the show's taping list, but they do maintan a waitlist as well. 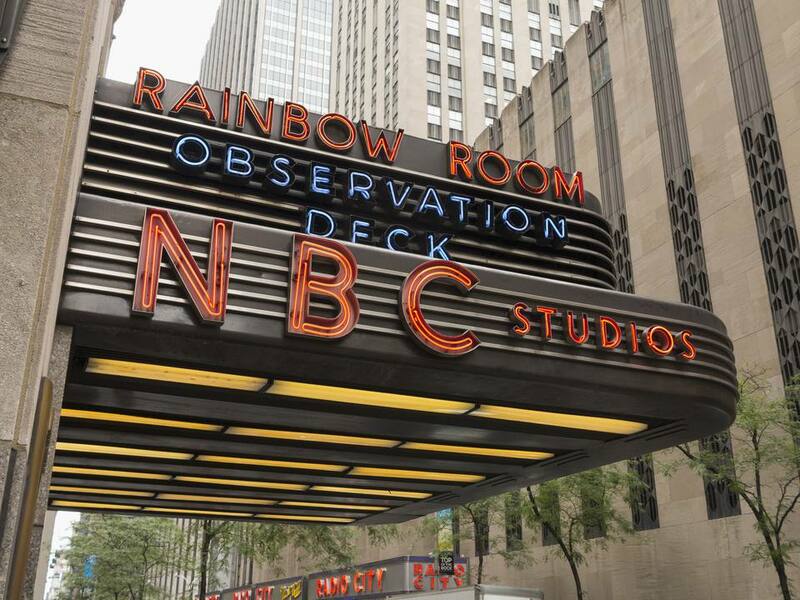 If you're more of a procrastinator, you can head to the NBC Studio Experience Store in Rockefeller Center to get your standby tickets. If you plan about a month in advance, you can get audience tickets for "Late Night with Seth Meyers" by requesting them online. If you're more of a procrastinator, you can head to the NBC Studio Experience Store in Rockefeller Center to get your standby tickets. Tapings usually begin at 6:30 p.m.
You don't need tickets to be in the "Today Show" audience, you can just show up in Rockefeller Center at the right time and join the other folks hoping to get a moment on TV for their friends and family at home to see! Still, you can RSVP online for a chance to participate in special show activities as part of the taping. See The Dr. Oz Show Live in NYC! How Can I Get Free Saturday Night Live Tickets? How Do You Get Tickets to See "The Daily Show" Taping in NYC? See (and Smell) the Food Being Made at a Taping of "The Chew"
Get Tickets to See The View Live in New York City! See The Nightly Show with Larry Wilmore Live in NYC!